Matt finished sterling silver clown pimpernel with flowers. Medium sized clown from our range of clown collectables. This stunning sterling silver clown makes a wonderful gift that shows originality and style. 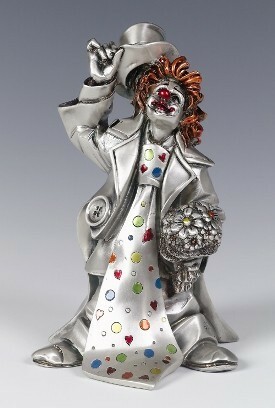 This sterling silver clown comes gift boxed.